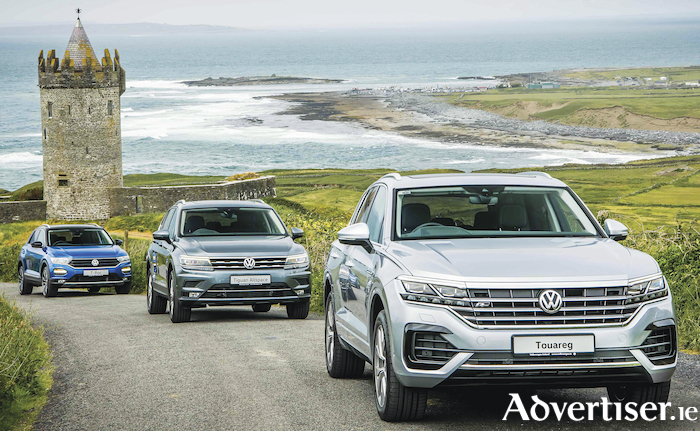 Volkswagen claims its new 191 offers will strengthen its position as Ireland’s favourite automotive brand heading into the 191 registration period. Volkswagen says it will offer customers who order their new vehicles before December 31, the opportunity for low, and in some cases 0% PCP finance, on selected models. Zero per cent PCP Finance is available on Golf and Golf estate Highline and R-Line models. It is also available on the Touran Highline and R-Line models, Tiguan and Tiguan Allspace Highline and R-Line models, as well as the Passat saloon and estate Highline models. Volkswagen says there are also purchase contributions of up to €2,500 on selected models in the range when buyers finance their car through Volkswagen Bank. There is a suite of technology upgrades available across the range, which allows customers to upgrade to the latest technology in their new Volkswagen for a fraction of the price, according to the German carmaker. The upgrades vary among models, but include advanced features such as adaptive cruise control, lane change assist, road sign recognition, plus many more. Good news for fans of the popular R-Line packs on Volkswagen models is that these will now become their own trim line, sitting at the top of the Volkswagen range. Buyers will now be able to buy specific Polo, T-Roc, Golf, Touran, Tiguan and Tiguan Allspace models. Volkswagen claims there will be significant savings for customers as a result of this measure - up to €1,066 in the case of the Tiguan R-Line trim compared to the options added individually. With a combination of low-rate PCP finance as low as 0% on selected models, purchase contributions of up to €2,500 on selected models when financed with Volkswagen Bank, the benefit of cost-saving technology upgrades and their freshest line-up for some time, Volkswagen says now is an excellent time to buy one of their new 2019 cars.